I'm sorry, once again, for not posting very often. Life gets busy and takes unexpected turns. My life took one of those turns a couple of weeks ago, when my boys and I were in a horrible car accident on our way to school. We were very blessed and protected, and were able to come out of it with just cuts, bumps, and bruises. What people don't realize when you go through something like that and just narrowly escape with your lives, is the emotional trauma you face. Everyone has gone on with their lives, and because we all are doing well, I think they all assume we are emotionally fine, too. Emotionally, it's been a roller coaster ride, I'm so grateful I have both of my boys alive and well, but every time I see a car wreck like mine on the news in which someone is killed or critically injured (which happens at least a few times a week) I spin into those what if questions, and sorrow for the family that just went through the wreck, guilt that we were okay and they weren't...I know it's confusing and it's hard to explain, but it's what has been consuming me lately. I know most of you won't even read this, you've already scrolled down to the recipe, because that's why you came to this page. But the few of you that actually take the few minutes to read my message, please understand that I enjoy my blog, but it's taken a backseat to life right now. I'm with my family and I'm valuing my time with them a little bit more, and you should do the same. With that said, it's Thanksgiving time, right? How about a new fall recipe to have at your Thanksgiving feast (or for breakfast that morning, or any other time, really)? 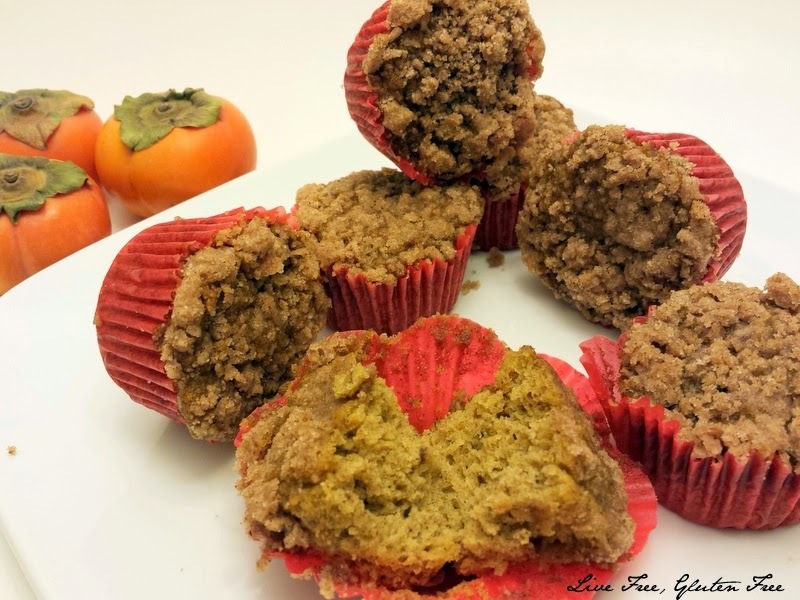 These Persimmon muffins are like little coffee cakes, they are so delicious with just the right amount of spices added. They really are the perfect fall treat. I had a bunch of persimmons to work with this year and have enjoyed baking with them. I used the Fuyu persimmon in the recipe. I found it's easiest to cut the persimmons in half, then scoop out the flesh, inside of trying to peel it. Then it is quick work to puree them for this recipe. Preheat oven to 325F, and lightly grease or line muffin tins. Cream shortening and sugar until light and fluffy. Add eggs, mixing well after each one. Add the persimmon puree and mix until well blended. In a separate bowl, combine remaining ingredients. Gradually add the flour mixture to the persimmon mixture and stir until combined. Scoop into muffin tins, and top with struesel (recipe below) and bake 30 minutes. This can also be made into a bread loaf, just use a standard bread pan (9x5") and bake for 1 hour. combine together and cut in margarine until it's well combined and forms a crumbly topping. Sprinkle on top of muffins before baking. This post was shared on Allergy Free Wednesday and Gluten Free Wednesday. 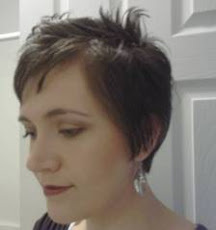 I have quite a few recipes that I need to put up here on the blog...I just haven't had a chance to do it. But, I have finally added my pumpkin pancakes. 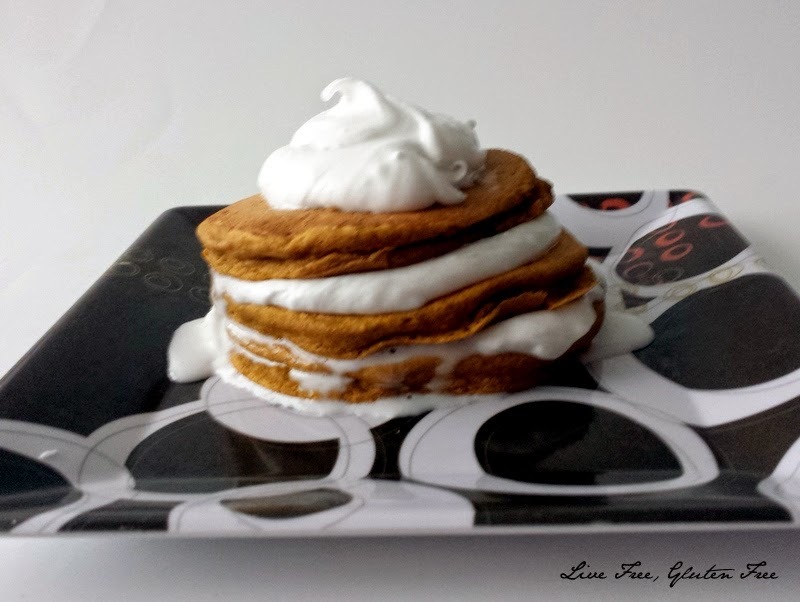 This recipe is just a modification of my Honey Oat Pancakes, which is a staple in our house. 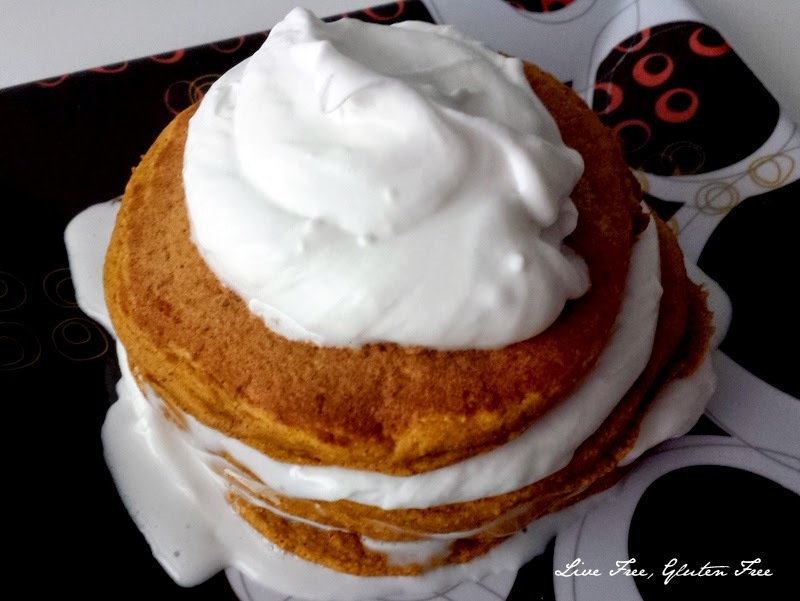 I topped mine with whipped coconut cream...incredibly easy to do and absolutely delicious with these pancakes. Simply chill full fat coconut milk. Then scoop the solid cream off the top and whip it with sugar (amount depends on how sweet you want it) until soft peaks form. In a small bowl mix together milk and lemon juice and allow it to sit for a few minutes. Add in pumpkin puree, egg, and oil. In a separate bowl mix together the dry ingredients, and pour in the wet ingredients. Whisk together to remove any lumps. Pour about 1/4 cup scoops of the batter onto a heated griddle. (I have an electric griddle that I heat to 325-350F). Once the bubbles form and start popping on the top of the pancake, flip and cook the other side for 1-2 minutes. Makes 8-10 pancakes depending on their size. This post was shared on Allergy Free Wednesday, Gluten Free Wednesday, and Gluten Free Friday.